CSS Corp has released notification for recruitment of Assistant Systems Engineer Post. All interested and Eligible candidates may apply application through online registration portal Given below link in this notification and go to for walk interview at 29th dec 2014 (11 AM to 4:00 PM). Company Profile : CSS Corp is a leading technology support company supporting enterprise and consumer products & managing IT infrastructure. 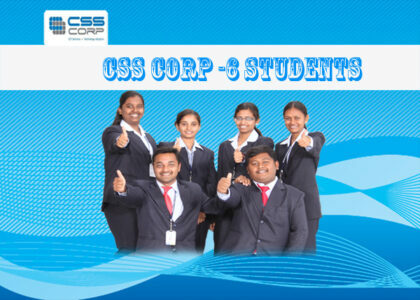 Founded in 1996, CSS Corp employs over 5500 technology professionals, across 13 locations globally. Candidate Should be able to communicate effectively. Education Qualification: Candidate should be posses B.E. / B.Tech/ Graduate with IT degree. How to apply: All Eligible candidates may apply application through online registration portal Given below link in this notification and go to for walk interview at 29th Dec 2014 (11 AM to 4:00 PM).